Developer Quote: "In Push-Cars: Everyday Jam, the good and eco friendly cars must leave the cities again while the bad and polluting ones keep on crashing." 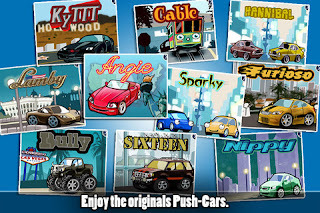 Push-Cars: Everyday Jam contains beautiful graphics and thrilling gameplay. The trick is to manipulate a car using one finger to change its direction, demonstrate its power plus clear each level. You've got to love the special eco theme, blend of easy-to use-controls with challenging gameplay and pleasant music tracks. There is no end to the fun with 10 unique cars, lots of crazy obstacles and so many levels to master! 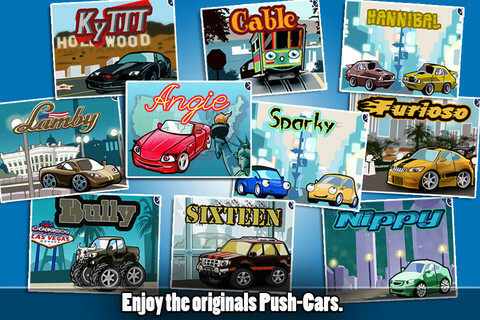 COOL CONCLUSION: "Push-Cars: Everyday Jam is pure logic fun behind the wheel of cars that have a mission in mind!"